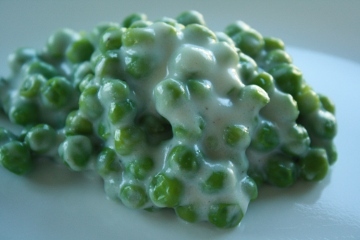 Whenever we have peas and white sauce I think of my sister-in-law… who could probably eat a whole pot of these by herself. 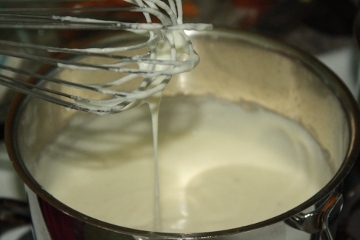 I love to add cheese to this white sauce when I make broccoli. Melt the butter and then stir in the flour, salt and pepper until smooth and thickened. Add the milk or milk substitute gradually, stirring constantly. Cook and stir over medium heat, until thickened and bubbly.